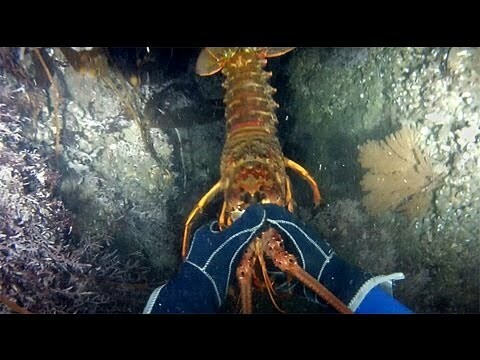 Lobster hunting while scuba diving from a kayak. This video was filmed with a head mounted GoPro Hero2. The diver in the video makes it look so easy, but remember, the video is a compilation of several dives. Lobster diving from a kayak tho?? For whatever reason, kayaking and scuba diving… or should I say scuba diving from a kayak seems like it would be somewhat difficult. It just seems that the additional payload of scuba equipment as well as the entry and exit of the kayak while maintaining the proper balance to stay upright would make it a difficult task. Nonetheless, there are a number of our followers that dive from their kayaks as well. Watch how easy this diver makes lobster diving from a kayak look in the following video.